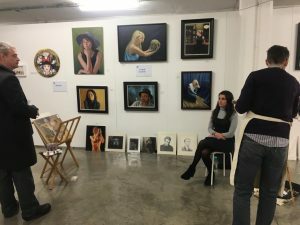 I have just finished the Talented Art Fair 2019 https://www.talentedartfair.com/ so I thought it would be good to give you my take on it. My first impression? It was the sheer volume of visitors to the fair that continued throughout the weekend that impressed me. The flow of visitor traffic did not let up, whether buying or simply browsing. This created a great environment for the artist, and I personally found it stimulating. In my case I did sell some paintings which added to the experience. However, regardless of sales the ability for artists to discuss their work face to face with the general public is important. For the viewer and buyer the art on display and for sale was diverse and engaging. This was the key to the Talented Art Fair’s success – there was something for everyone. In my case it was also a good opportunity to demonstrate a portrait painting. My demo provided a good insight into how I work and how I produce my art. Judging by the interest, comments and questions I received, viewers were interested and engaged. What was really noticeable was that the the fair was a friendly event. Both the public and other exhibitors were approachable and supportive. Furthermore, this made the experience of exhibiting a good one. 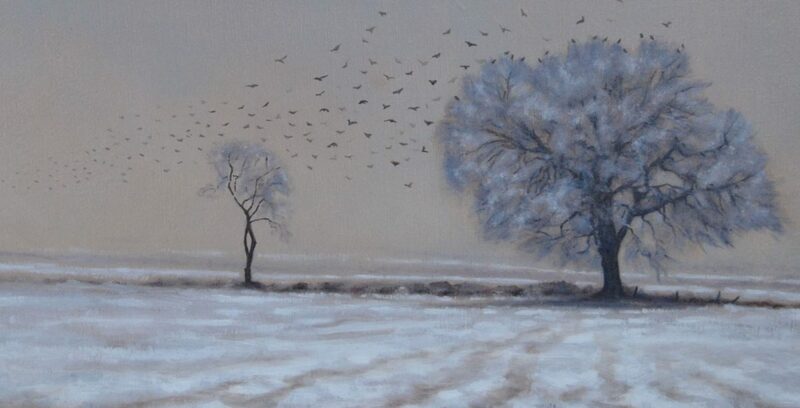 So would I exhibit at the Talented Art Fair again? The answer would be yes. This was a well organised and positive fair. Selling paintings does add to a good experience, but artists can definitely use the fair to improve their exposure. Overall a thumbs up for the Talented Art Fair.